Everyone loves French dip sandwiches, and everyone loves bite sized appetizers. So why not combine these two loves and create the ultimate meal? These French Dip Puffs are little bites of paradise, with all of the fixings of French dip sandwiches in one bite sized puff. You don’t need to be a domestic diva to make these, nor do you need a bunch of expensive ingredients. Take a look below at what a cinch it is to whip up your own batch for your football game party, next cocktail party, movie night, or pre dinner appetizer. 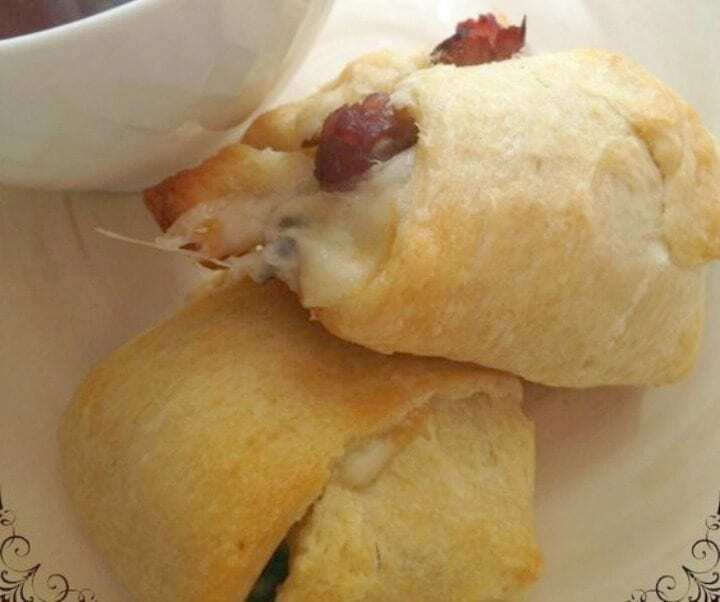 We hope that you love this French Dip Puffs Recipe. You can find all of these items at your local grocer. Pre packaged cheese and meat work just fine, and you can find an au jus mix packet in the spices and seasoning aisle. These are usually no more than $1 or so. To begin, grease a cookie sheet and set aside. On a clean work space, unroll the crescent roll dough. Break them apart as you would if you were making them as intended. Cut the provolone into small triangles. Place a triangle on each crescent. Take a piece of roast beef and roll it up tight. Place it on top of the cheese. Now, you need to close up the dough around the fillings. You can do this by rolling up the crescent and then pinching the sides closed. There will be some of the filling that shows or leaks out, but that is not a problem. Place each puff on the cookie sheet and bake according to directions on the crescent packaging. This will typically be at 375 degrees for 10-12 minutes. While your puffs are baking, prepare the au jus according to package directions. That’s it! 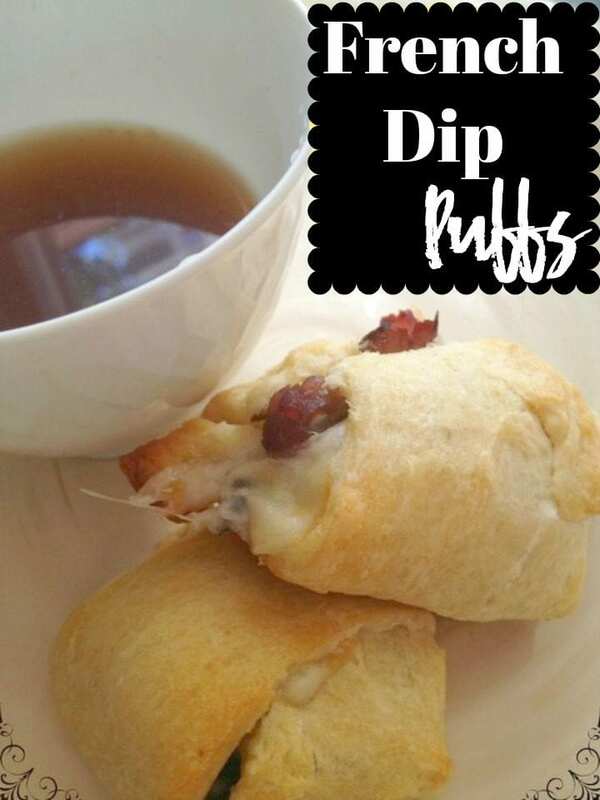 Serve the puffs warm with warm au jus for dipping and they really are the perfect appetizer. These little puffs pack a punch of flavor and are so easy to make. Why not whip them up for your next get together and see what you can come up with? So simple but sounds so delicious. Will have to try this one. Thanks. These look delicious! I’m sure we would enjoy them. 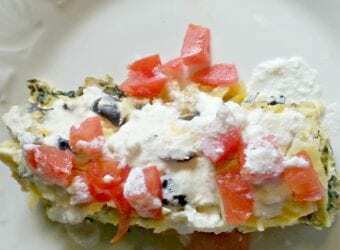 Those look delicious, and so easy to make!! That look so delectably delicious! Would like to cook this one. Thanks! I’ve never heard of french dip puffs but gosh do they look delicious. They’re like open empanadas, almost. Great for a quick meal! I have also filled crescent rolls with chicken salad and hot dogs. Kids love these also. These sound amazing! I’m definitely going to try them! These look and sound fantastic! I love how simple the recipe is. I will be trying these out soon. Ohh, those look delicious! My fiance loves–and I mean loooooves!–French dips and would totally devour these. This looks like a really fun twist on the classic party appy! I will definitely have to try out this recipe! Yum!! I love a good au ju sauce! Thank you for this great recipe, it’s fast easy and delicious, the one change I would make would be to substitute chicken for roast beef. That is a great idea. That would be wonderful with a honey mustard or barbecue dip. This would make my whole family happy. 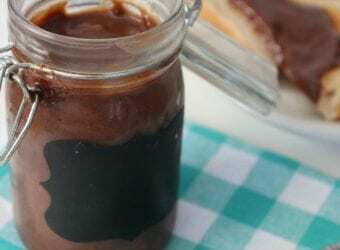 I love French dip and this is a fun twist! I’m totally drooling! These look amazing! These sound fun and easy to make as well as being delicious sounding! I may have to give them a try! I want to make these for dinner one night. I think my family would enjoy this!